I have always been a person with a different a kind of taste in everything and I always like clean and mild fragrances.And for me my bathing stuff has to be something that makes my olfactory senses relax ! 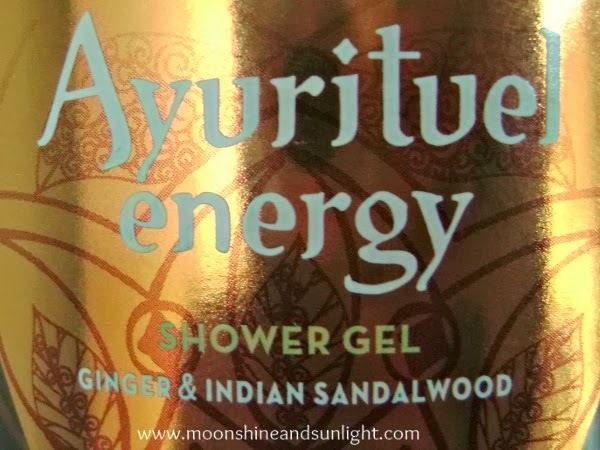 I just found out a new body wash which qualifies the relaxing bit , But also makes me feel refreshed. 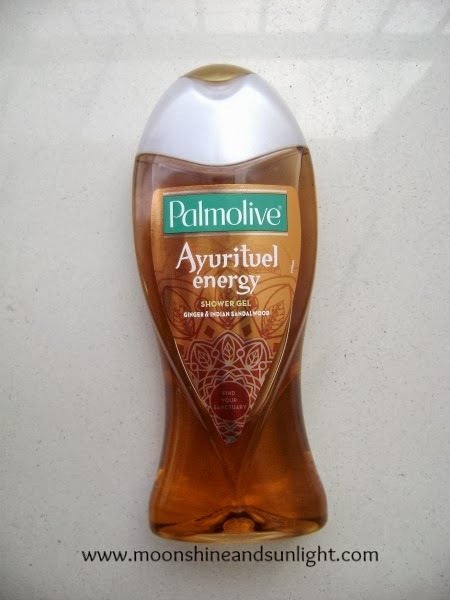 I am talking about Palmolive's new body wash range "Ayurituel" . Read on to know more. I received it as a surprise gift ! And to be very honest I was really excited to try this out. There are other two variants , tranquility and joyous. 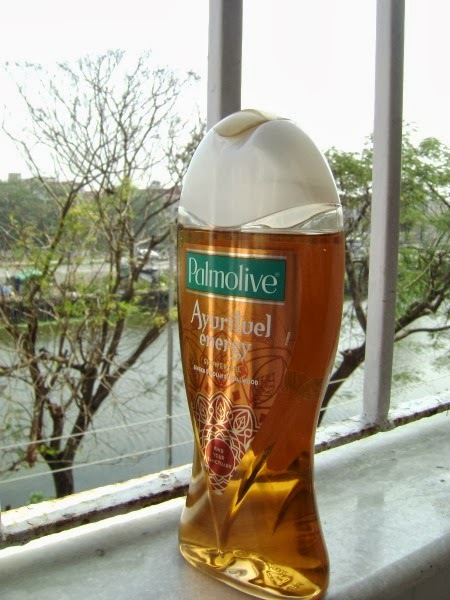 Packaging:- Love the new packaging which is a standard since they changed their previous shape of the bottle a year back. The bottle is a clear plastic ,see through bottle with a flip cap. 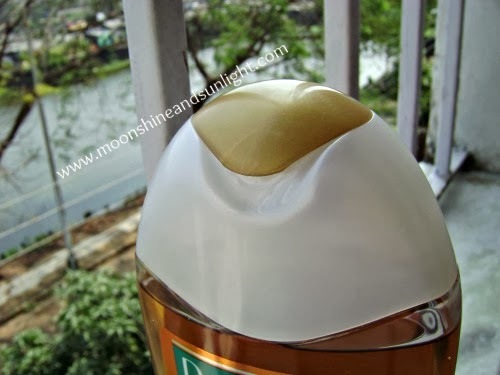 The flip cap is very tight so there is no chance of the shower gel leaking. The design on the sticker is apt as they have Indian Ayurveda in mind and the motifs look very traditional. Product:- The shower gel is perfect in terms of "gel" not too runny ,not too jelly like. Lathers really well , makes a lot of bubbles with loofah. The gel is brownish colored as you can see. Does not dry out skin , but leaves a kind of rough feeling (just a little). The lather is very fragrant and milder than the product itself. The fragrance is strong otherwise. The fragrance stays on for a really long time. Fragrance:- A sharp fragrance of Indian Sandalwood , not mild at all along with a really sharp fragrance of ginger. But when it lathers the actual smell is 50 times less sharp and very refreshing. All in all a little different and perfect for those who like to experiment. This is perfect for a bath, when you return after a tiring activity like from gym or after playing any sport ! I find it perfect for a bath after a nice long swim. I recommend this for those who are very active and like to experiment ! Beautifully reviewed gal..>Would love to give this a try!